MIAMI – April 3, 2019 – Team Vives and Team Wisin will take the stage of Telemundo’s "La Voz" (The Voice) this Sunday, April 7 at 8:30pm/7c, following last Sunday’s spectacular performances by Coaches Luis Fonsi and Alejandra Guzmán’s teams. Carlos Vives and Wisin will also join their teams for a surprise musical performance to close the second live show of the first-ever Spanish-language edition of “La Voz” in the U.S., hosted by Jacqueline Bracamontes and Jorge Bernal. Viewers will also meet the first eight participants who will go to the semifinal of the hit singing competition. Paola Lebrón, 20-year-old Puerto Rican from Carolina, Puerto Rico. Manny Cabo, 49-year-old Puerto Rican-Uruguayan from Elizabeth, New Jersey. Sheniel Maisonet, 22-year-old Mexican-Puerto Rican from Homestead, Florida. Lluvia Vega, 30-year-old Mexican from Brownsville, Texas. Ana Senko, 21-year-old Mexican from San Antonio, Texas. Mava González, 18-year-old Venezuelan from Coral Springs, Florida. Abel Flores, 27-year-old Mexican-Guatemalan from Los Angeles, California. Yireh Pizarro, 23-year-old Puerto Rican from Vega Baja, Puerto Rico. Yailenys Pérez, 18-year-old Cuban from Hialeah, Florida. Yashira Rodríguez, 22-year-old Puerto Rican from Ponce, Puerto Rico. Ronny Mercedes, 32-year-old Dominican-Honduran from Bronx, New York. Brisila Barros, 20-year-old Uruguayan from Greenacres, Florida. Mayre Martínez, 40-year-old Cuban-Venezuelan from Redondo Beach, California. Stephanie Amaro, 38-year-old Mexican from Whittier, California. Frances Dueñas, 24-year-old Mexican from Los Angeles, California. Johnny Bliss, 27-year-old Puerto Rican-Dominican from Manhattan, New York. At the end of the episode, viewers can vote for their favorite contestants through Telemundo.com/vota, text message, Twitter, and Facebook’s official social media account @LaVozUS using the participants’ hashtags, in addition to the toll-free numbers given at the end of each episode. Voting methods close Tuesday at 9pm Eastern/8pm Central/6pm Pacific. For more information and voting instructions, visit Telemundo.com/vota. The audience votes will determine who stays for the semifinal and who goes to "La Voz" grand finale, where the winner will be announced and will receive the $100,000 cash prize, as well as a recording contract with Universal Music Group. “La Voz” fans can join Telemundo.com/LaVoz and its YouTube channel along with digital reporter Jessica Cediel, who brings the latest scoop on the Coaches and contestants from a unique backstage, all-access perspective. The official site also features exclusive interviews, music performances and photo galleries. Viewers can follow Facebook, Twitter and Instagram @LaVozUS using #LaVozUS, and join all the action of their favorite team with the Coaches hashtags: #TeamFonsi; #TeamGuzman; #TeamVives; and #TeamWisin. 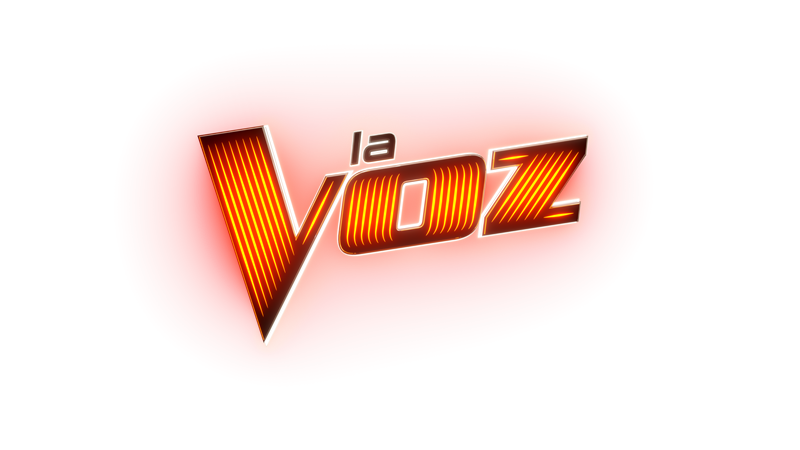 “La Voz” is a production of Telemundo, Talpa Media USA, Inc. and Warner Horizon Unscripted & Alternative Television. The series is created by John de Mol, who serves as executive producer along with Cisco Suárez, EVP of Primetime Non-Scripted Programming at Telemundo, Stijn Bakkers and Tim van Rongen, Executive Producers for Talpa Media USA, and Macarena Moreno and Moira Noriega, Executive Producers for NBCUniversal Telemundo Enterprises.